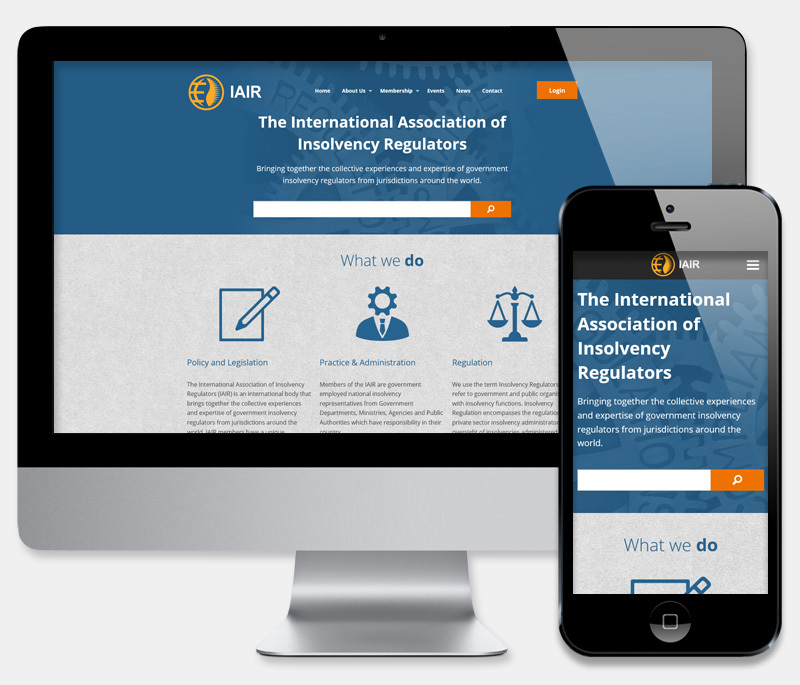 The International Association of Insolvency Regulators. Bringing together the collective experiences and expertise of government insolvency regulators from jurisdictions around the world. With an existing website that was becoming increasingly difficult to manage and offering very little in the way of modern responsive CMS benefits, the IAIR commisioned us to create an all-new site on their chosen WordPress platform. 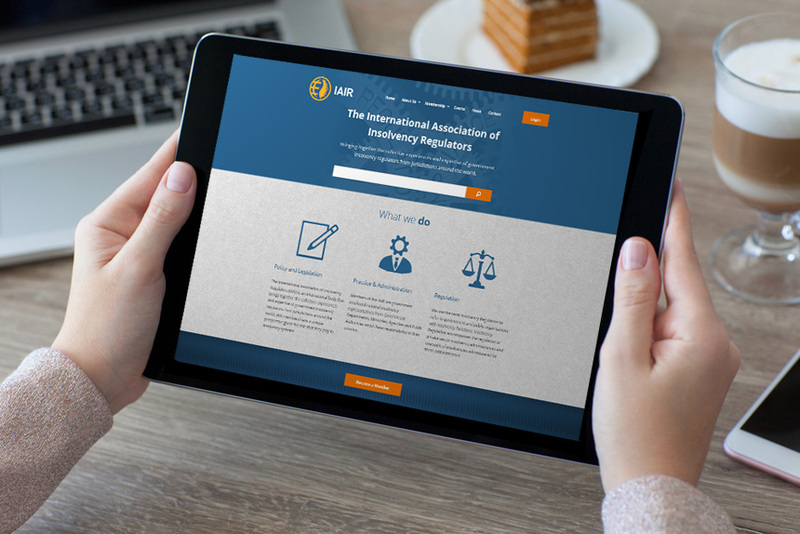 Starting with some sympathetic improvements to the supplied branding and ensuring that we followed layout preferences suggested by the client, we designed and all new site to provide the best user experience for both existing IAIR members and new visitors. We had to create some interesting bespoke work behind the scenes on IAIR. Firstly we had to design a members area where members could access files/private information and where admins could manage the various accounts. We then create a booking system able to handle multiple events. 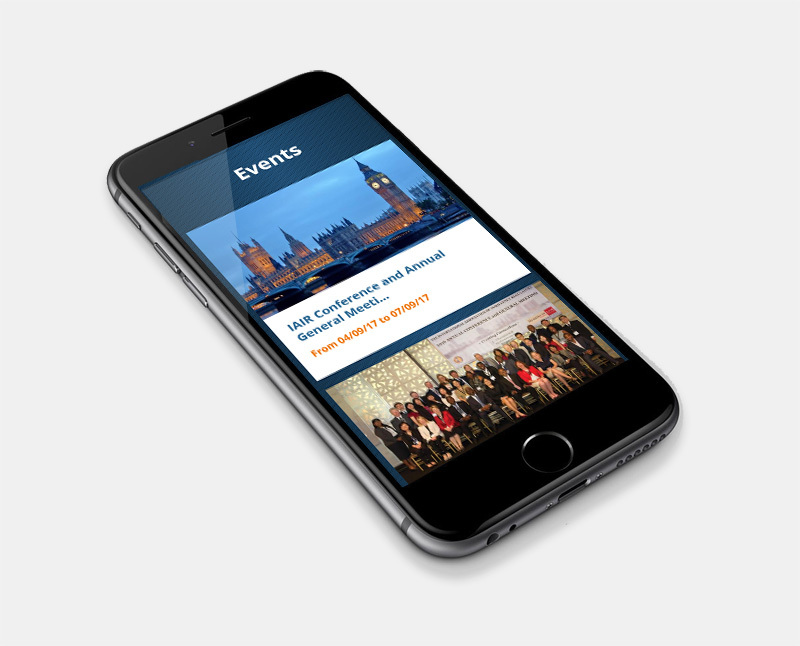 The booking system needed to take booking reservations, display multiple image galleries, event programmes and speaker documentation, whilst remaining easy to update and allow fats and intuitive content retrieval. Finally, we had to hook the whole site up to our Solr server for indexing with the inclusion of advanced permission based searches. Staff training and support was provided on the use of the new site, backed by one of our ongoing technical support and hosting packages. "I was dreading changing our website but Website Development Ltd made the task painless. They responded promptly to any queries and the new website has been praised by our members"